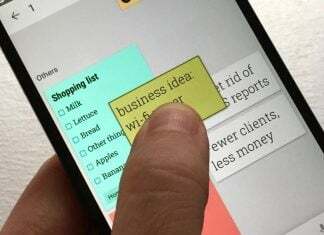 HTC is in the midst of testing an Android 4.1 update for the T-Mobile One S, according to emails being sent to customers of said device. 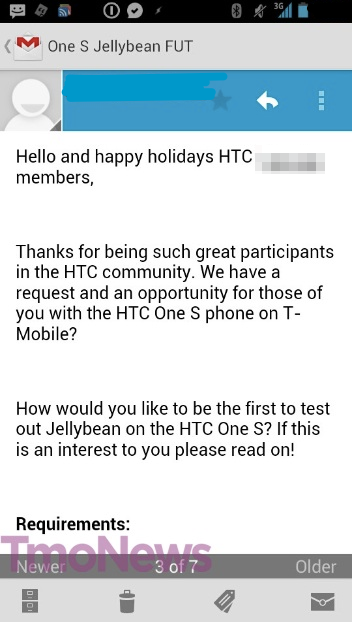 As evidenced on TmoNews, an email from HTC is soliciting One S users who want to be among the first to test out Jelly Bean on the Android smartphone. It is unclear if this is opportunity will be afforded to all such owners or if it is a select few. 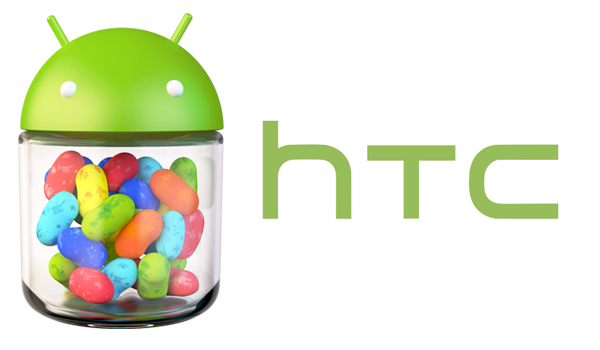 What’s more, it remains to be seen how far along the testing process is and whether or not HTC will wrap up soon. For what it’s worth, our gut says it’s getting pretty close to finishing.